Giselle, aka Miss Jean Broody, Wows Us! So, there’s a mystery going on here. 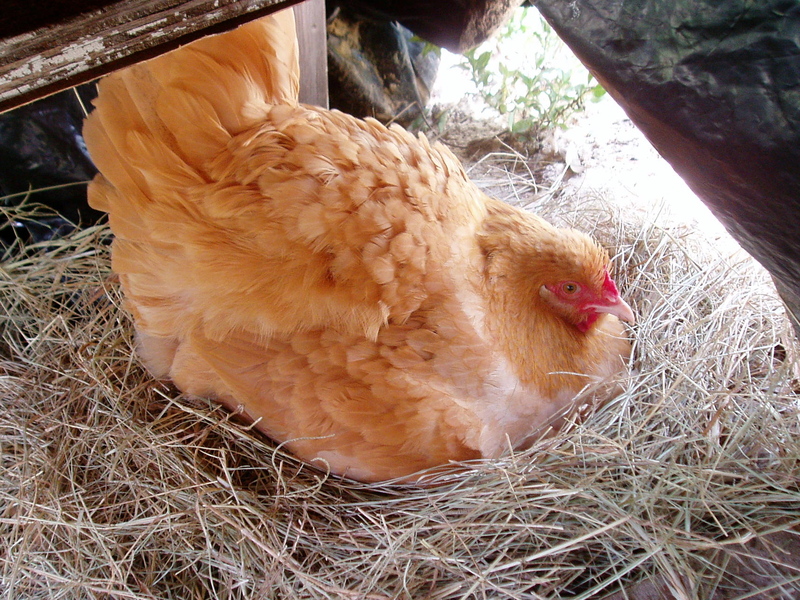 We noticed that Giselle (hereafter known as Miss Jean Broody, or MJB) was not in the henhouse for lights out on the 24th of July. The night before, our band had played for a contra dance in Tampa, Florida…and had to put themselves to bed. The next night, MJB was missing. That Monday morning, the 25th, I searched our fenceline for signs that she’d been taken by a fox. Nothing. Wednesday, Tom found her, setting on some eggs. I counted 16. Thursday, the 28th, I took a photo of her on 20 eggs. I marked the eggs with a pencil. Friday, there were 21 eggs. So what. I know. Blah blah. Sounds like this Desperate Farmwife has gone over the edge, right? Well, listen, here’s the thing. Chickens take 21 days to hatch, don’t they? Let’s use the 24th as “Day One.” That would mean that today is “Day Seventeen.” Right? Am I right? 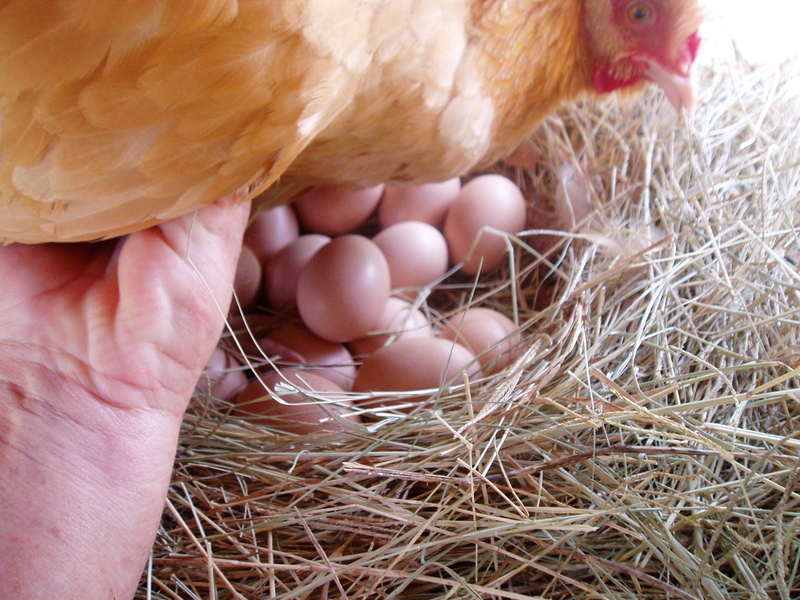 Well…the deal is…this morning…she was sitting on 3 eggs. And 18 chicks. Well, 17 and one who died getting out of the shell. I was encouraged to let her keep the chicks on her nest, and went off to the feed store for chick starter. I mean, I was planning to pick up chick feed when I made my regular feed run at the end of the week. Who dreams of preemie chickens? When I got back, 2 had gotten away from her and drowned in a puddle. She had most of the rest of them 100 yards away, under the house. 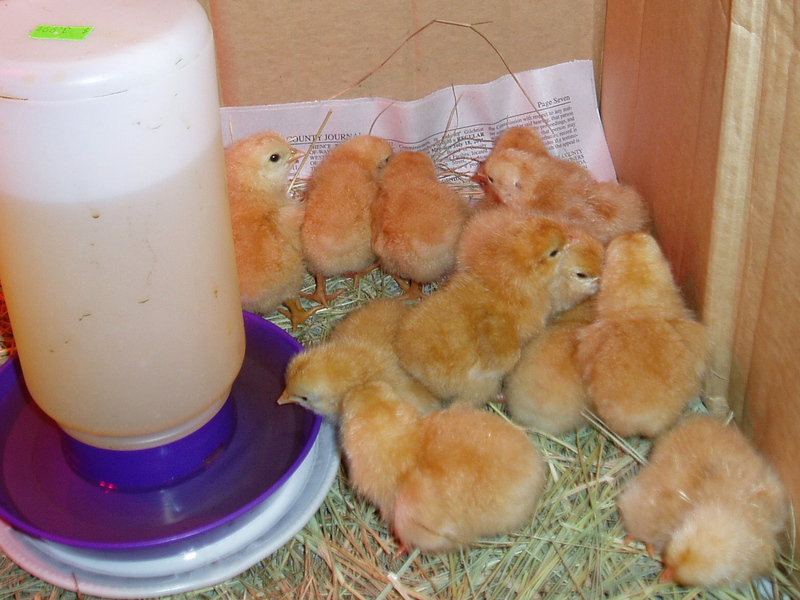 I rounded up the chicks, 15 in all, and put them in the brooder. And put MJB back on her remaining eggs. She was very happy to be taken for a visit…when she saw all of them in the brooder, she clucked and relaxed all her feathers…and she was ready to go back to work. 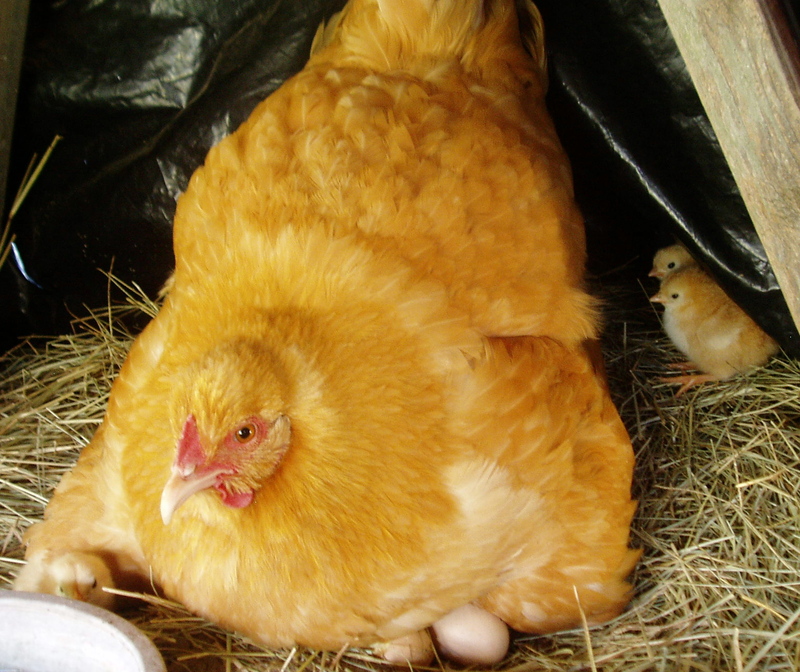 Now…there is another broody hen in the henhouse. But the sister hennys are not laying in her nest. Should I? Or shouldn’t I put a day’s eggs under her ample breast?